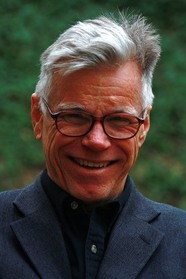 PHILLIP F. SCHEWE works at the Joint Quantum Institute at the University of Maryland, where he is director of communication. He has a PhD in physics but has spent most of his career as a writer, chiefly as an explainer and popularizer of science. In addition, he has written numerous plays, which have been performed in New York, Washington, DC, and elsewhere. His book The Grid, a history of the impact of electricity on society, was called by NPR one of the top science books of the year for 2007. He lives in Takoma Park, Maryland.